Our dedicated team understands your need for a quick turnaround and can usually deliver in 1 to 2 working days. Made from micro capped acrylic, the labels have a peel off backing revealing a strong 3M adhesive, which ensures that once in place they will not fall off. They are highly durable and excellent value for money. There are various colour options available, examples of these are below. Please get in touch if you would like to receive samples. 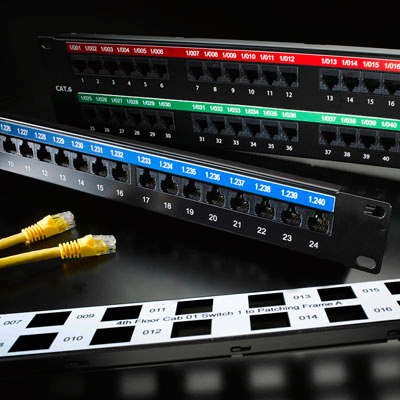 As with the panel labels, we have expert knowledge of sizing and layout requirements. No need to fill out complicated order forms. 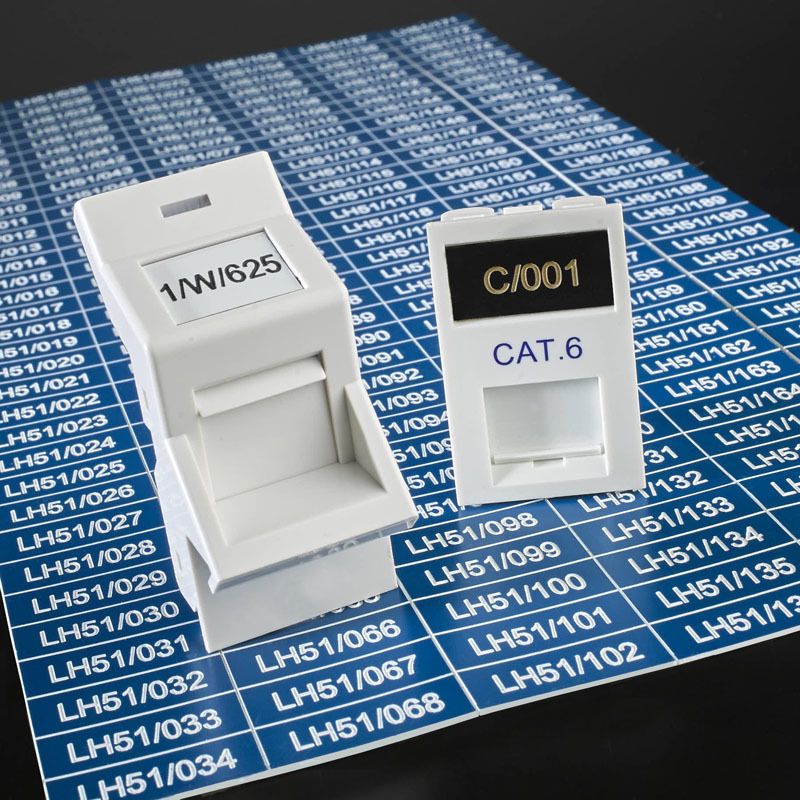 Simply call or email us your number sequence (start and end is sufficient if sequential) and we will supply the outlet labels in an easy to use sheet format. Single outlet/module labels are £0.12 each regardless of text. 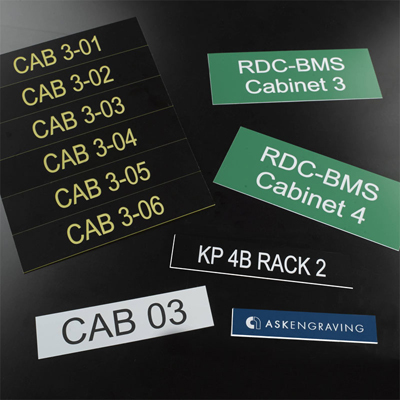 Cabinet labels are made to your exact specification and can also include your logo if required. Prices vary depending on the size, just give us a call and we will be happy to help. Labels are supplied in a sheet format, for ease of use. Colours are indicative only and can vary depending on your display settings. Other colours are available.